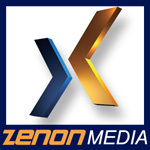 Zenon-Media launched for April 2010 his headquarter or Asia and Pacific region in Kuala Lumpur Malaysia. The office located in Malaysia will be in charge of support and part of regional specific developpment for the asiatic market. The proximity and the close relationship to our customer are for us everytime very important. From our new location we can now really work on markets such as Malaysia,Thailand, South Korea, Singapore, Indonesia and Taiwan. The sales operation will be continue by our previous reseller Stagetec also based in Kuala Lumpur for the Asia region.